Norman Yakeleya holds four portfolios for the Assembly of First Nations: veterans affairs, the elders council, renewing the AFN’s charter, and residential schools. Dene National Chief Norman Yakeleya has his marching orders from the Assembly of First Nations (AFN) in his role as one of the organization's regional chiefs. Yakeleya holds four portfolios for the Assembly of First Nations: veterans affairs, the elders council, renewing the AFN's charter, and residential schools. That's in addition to his work as chief of the Dene Nation — a role he took on in August. "Even over the last couple of months I was looking over the two roles and finding where we find the balance," he said. "It's a mixture of, what's the top priority for the Dene Nation? What's the top priority for the Assembly of First Nations; giving as much time to the Assembly of First Nation as I do to the national chief of the Dene Nation." The role of the AFN is to advocate on behalf of First Nations across the country. Its national executive is made up of the national chief, 10 regional chiefs and chairs of the elders, women's and youth councils. 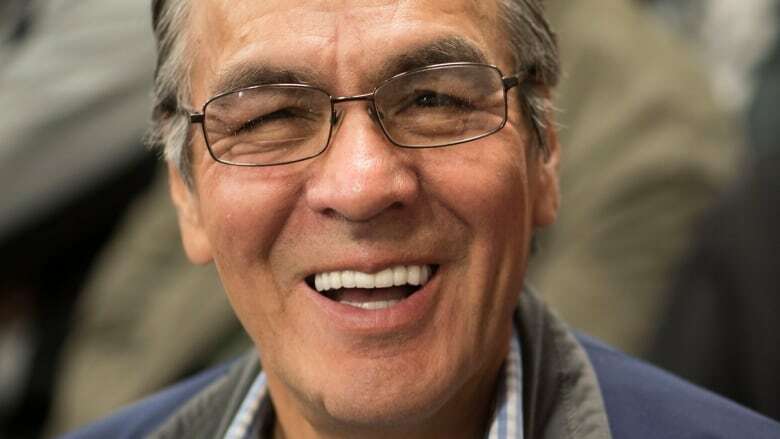 In his role as the head of veterans affairs for the AFN, Yakeleya says he wants to lobby the federal government to open a Veterans Affairs office in the North to serve the approximately 1,900 veterans who live in the three northern territories. Of those, 500 are receiving services and 85 have case files, Yakeleya said. In 2016, Veterans Affairs began regularly sending officers to Northern Canada to meet with veterans each month. "I [want to take] a real good look at who are our veterans in the Northwest Territories. Is there a place they can come and meet together and look at veterans issues, veterans services that are supposed to be there?" he said. Though he's still waiting to be fully briefed on the details of his new files for the AFN, Yakeleya says he expects to find overlap between the Dene Nation and the national organization. For example, renewing the AFN's charter will likely be a similar process to reworking the constitution of the Dene Nation, he said. "The charter renewal with the AFN is the big piece of work, residential schools is another," he said. "They are just now looking internally [at] what type of funding and resources they would be giving me for this file, and see what type of timeframe I'll have to report back to the chiefs." Yakeleya expects those meetings to happen shortly after the new year.